Auxiliary Magazine hosted a release party for their new issue, and Lip Service showed up with a fashion show. 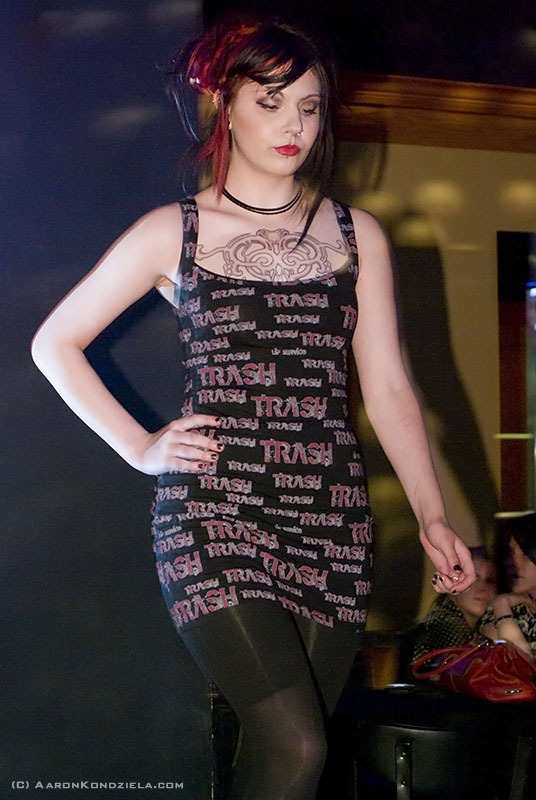 Fantastic clothing designs, beautiful models, amazing music! Below you’ll find some of my pictures. 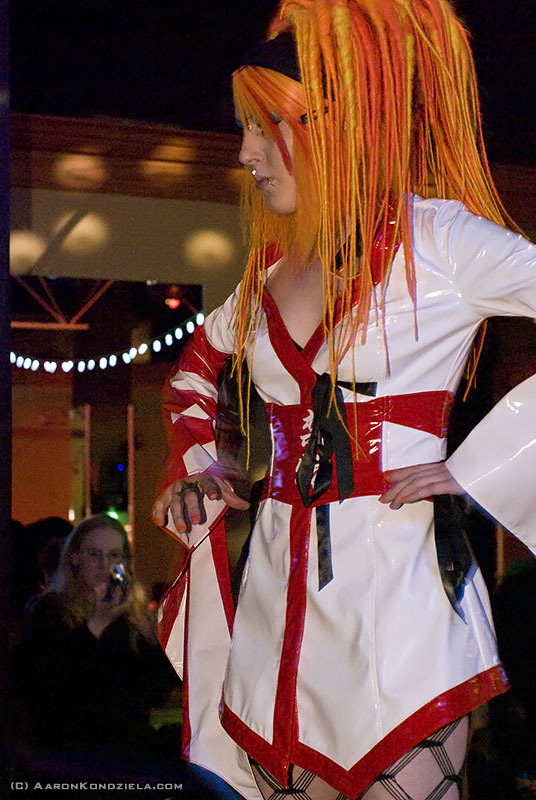 This was a challenging shoot due to low light, even lower than a typical fashion show, because it was at a nightclub. I came prepared for that, with a flash cable, gels, etc – my evil plan was to bounce the flash off whatever ceiling/wall/whatever was nearby to get a soft light on the models, and hopefully see a faster shutter. Well, my hopes and CTO-corrected photons were thoroughly dashed upon the black-painted ceiling – black is not very reflective! The walls weren’t much better. I tried using everything around me in some test shots before the show, but damned if I could get enough light reflecting to make a difference or produce an amazing image. The mirrored wall worked, but a mirror doesn’t diffuse light and it looked like crap. If you were involved in the show and would like to use these photos, you are welcome to, just email me and I can get you what you need! ← See my photos on the Lip Service webzine! Pingback: Aaron Kondziela » Blog Archive » See my photos on the Lip Service webzine! Love the fashion show pictures! Very professional. Especially taken with the one of the black halter dress – amazing composition with the highlighted shadow behind her. Great work. All zines should be so lucky to have you avaliable… or on staff!